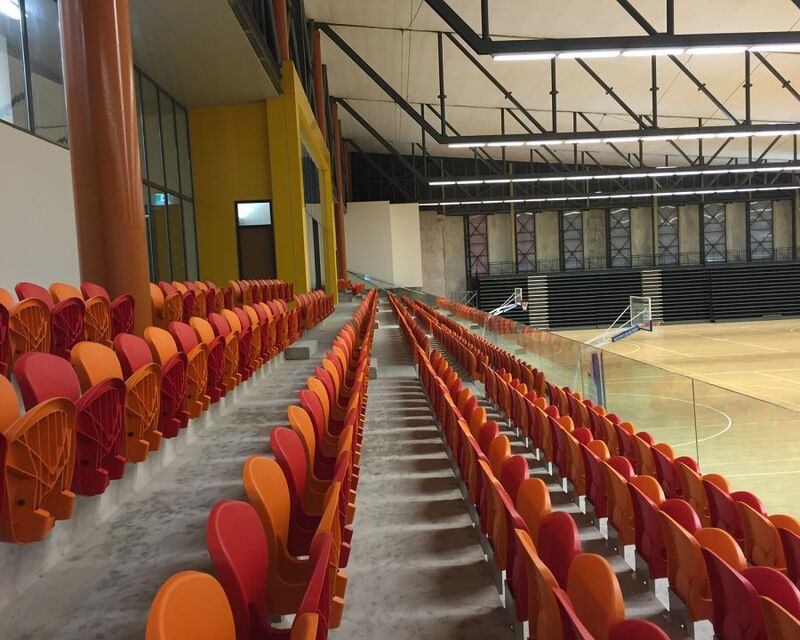 In September 2014, Effuzi and Alloyfold secured the contract to supply and install seating into the Rita Flynn Netball Stadium in Port Moresby, Papua New Guinea. Axor telescopic retractable platform seating was selected for the main hall along with fixed Albany Stadia seating for the upper spectator gallery. 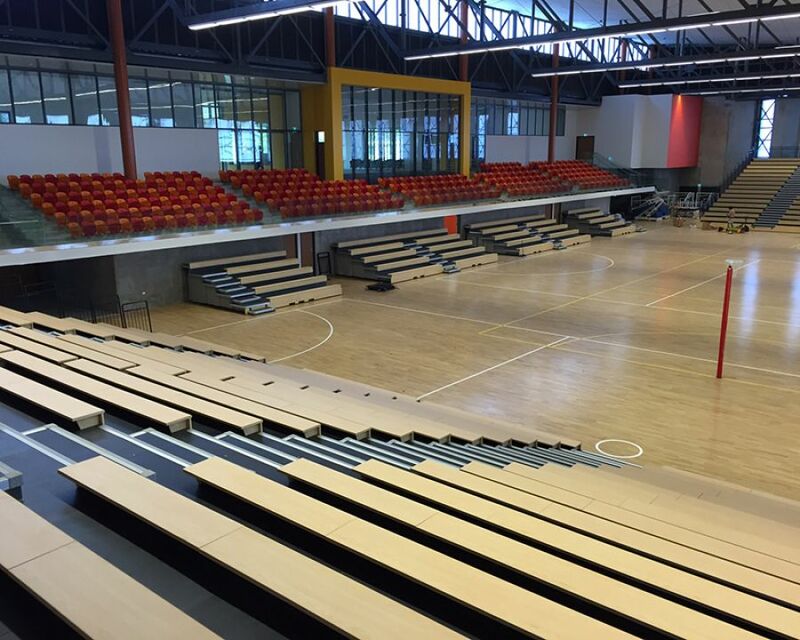 Our team supplied over 3,000 seats and travelled to PNG to install the seating. The stadium was constructed to host the 2015 Pacific Games in July.